The Deluxe Undermount sink is finished with an 18/10 brushed satin finish and made from 304 grade stainless steel to give your kitchen a sleek modern look. The 36L and 27L large capacity bowls are great for washing large pots and pans and the 10mm radius corners make it easy to clean your sink. Your sink comes all inclusive with colander, drainer and cutting Board and designer plug and waste. 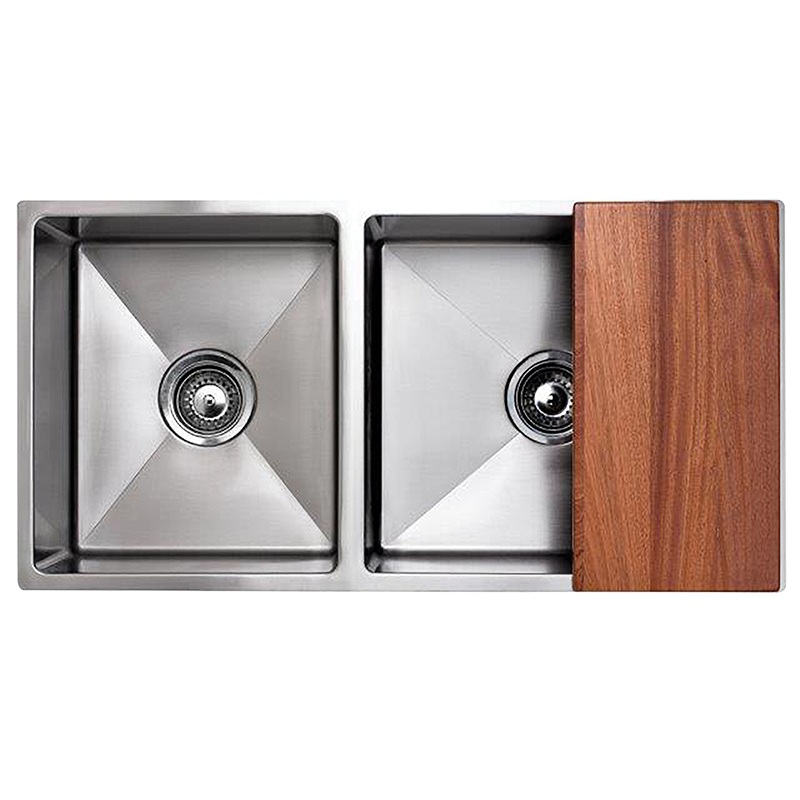 Finish off your sink with stainless steel tap ITDSS to complete the look.